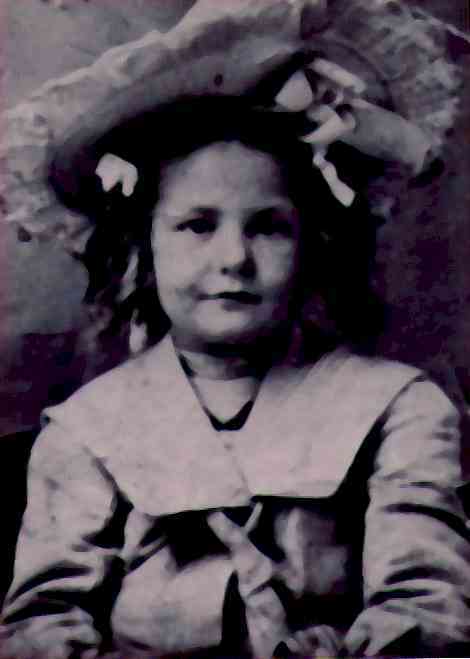 Anna Ollie Stuart, age six, of Sparks, Nevada dressed in her finery going to ride the Ferris wheel. When I was little she always told us it was magical to see all the electric lights. No place she lived at that time had electricity. Sparks (Nevada) had gas-lamps, etc., so a little girl from Nevada must have been overwhelmed. At ninety, she told me she still dreamed about looking out at night over all the lighted Palaces at the fair.